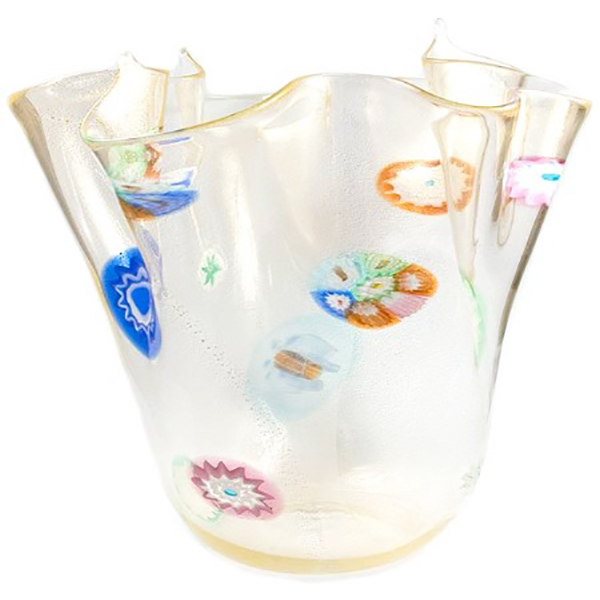 Handmade and decorated with 24 karat gold and large slices of millefiori, this Murano glass handerchief-styled vase is given its shape by inverting the vase and gently folding over the edges. The result is an elegant vase perfect for decorating your home. Approximately 7 inches tall and 6 inches in diameter at its widest point. Each piece may vary as they are handmade in the furnaces of Murano.